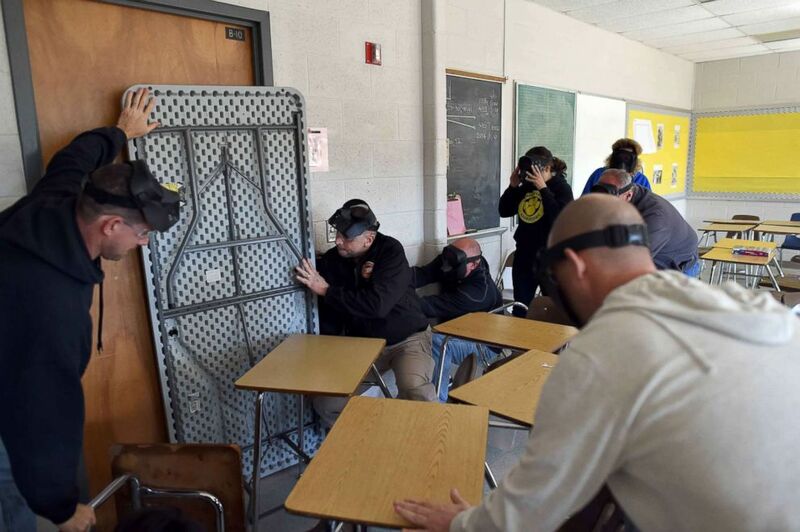 Participants barricade a door of a classroom to block an "active shooter" during ALICE (Alert, Lockdown, Inform, Counter and Evacuate) training at the Harry S. Truman High School in Levittown, Penn., Nov. 3, 2015. 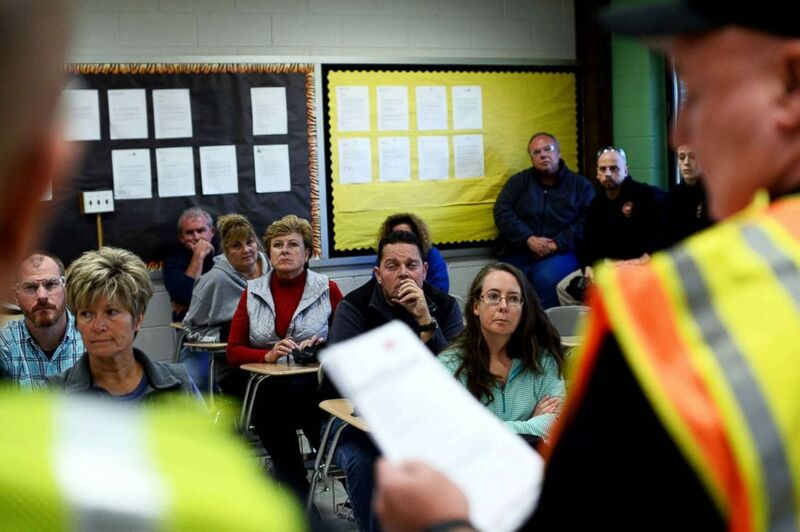 Participants listen to instructors during ALICE (Alert, Lockdown, Inform, Counter and Evacuate) training at the Harry S Truman High School in Levittown, Penn., Nov. 3, 2015. 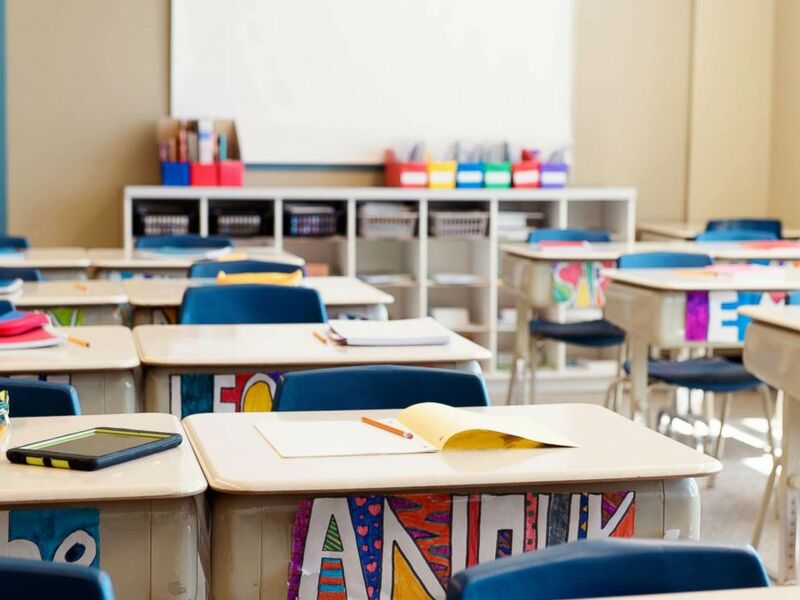 This stock photo depicts an empty classroom.